From traditional to modern, minimalistic to ornate, elegant to whimsical, we've got you covered! And having helped over 40,000 happy brides and grooms since 1996, you can rest assured we're here to take care of you. Our exclusive, limited edition, museum-quality artwork will bring beauty and joy to your home for a lifetime. Choose from our beautifully-worded ketubah texts that you won’t find anywhere else that are suitable for all types of ceremonies. 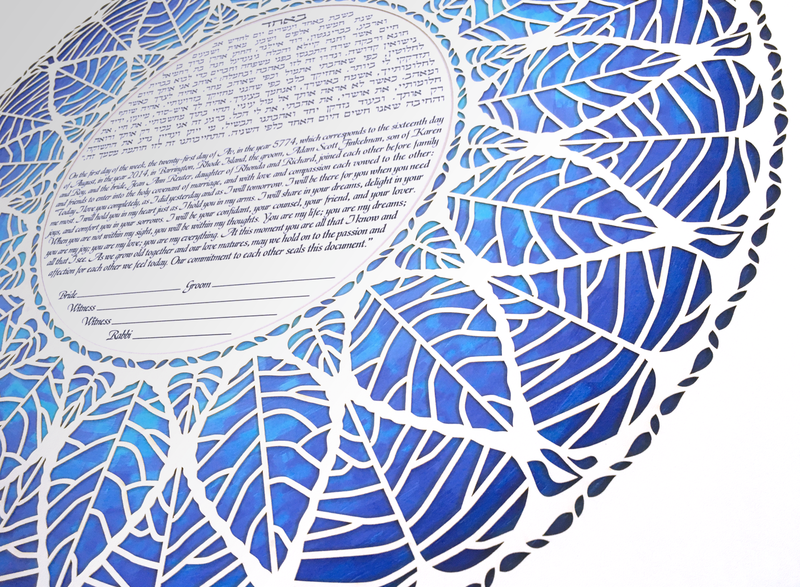 Need something special or unusual for your ketubah? 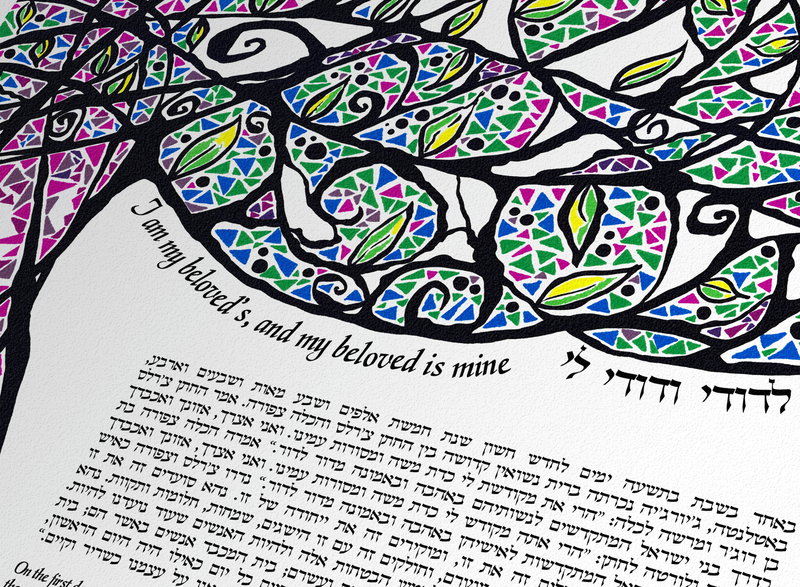 We are happy to customize your ketubah to make it perfect for you! From framing and canvas wrapping options to Judaica, including wedding glasses for breaking parents’ gift prints to signing pens and archival envelopes — see all that we offer to make your wedding day memorable. 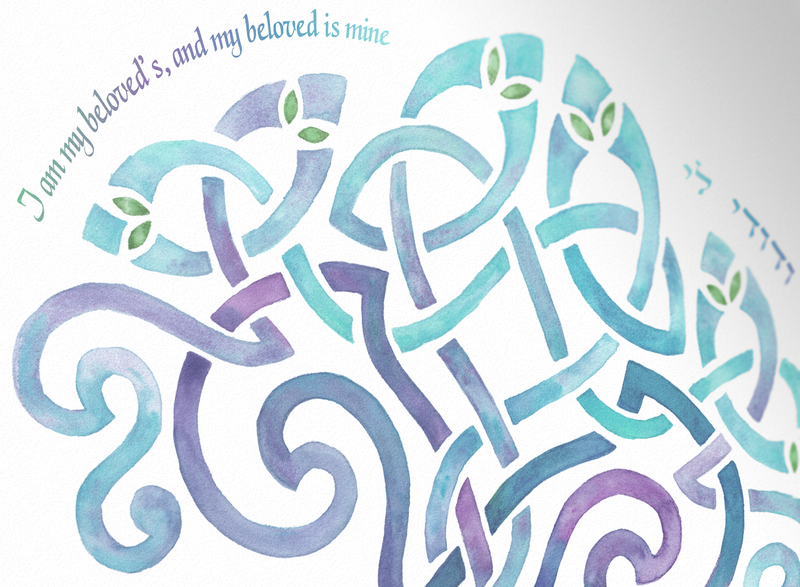 Choose one of our beautiful designs and the ketubah text you want us to use. Add personalization and any extras, and submit your order. We’ll contact you if we need more info from you. You will get a digital proof of your ketubah from us to look over and make sure everything looks just the way you want it to. Your officiant can receive a copy, too. We want it to be perfect before we print. 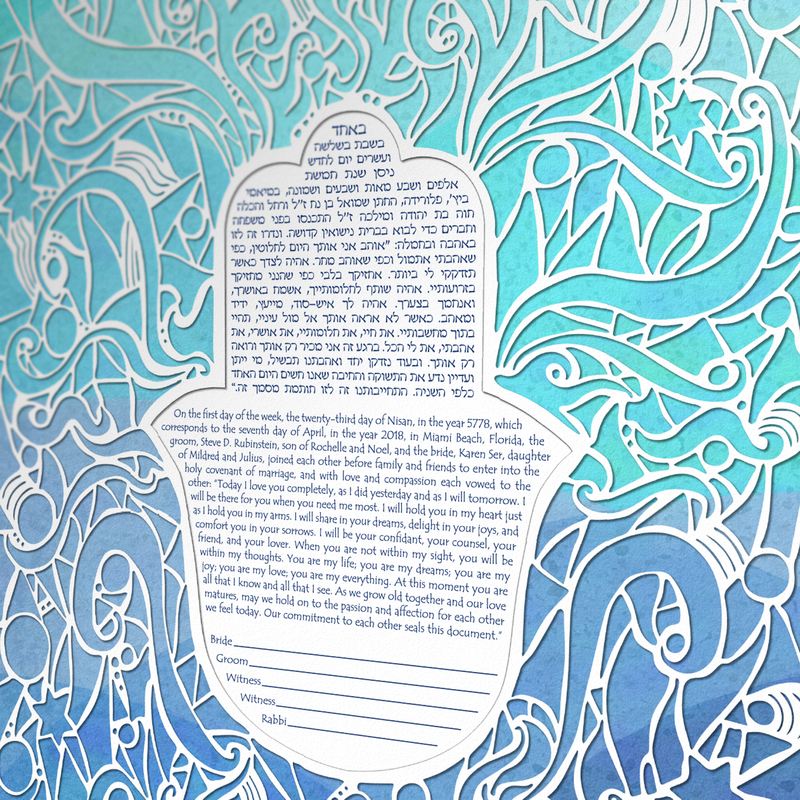 Once we receive your approval to print, a fine art paper ketubah can be shipped in as little as 1-2 days. 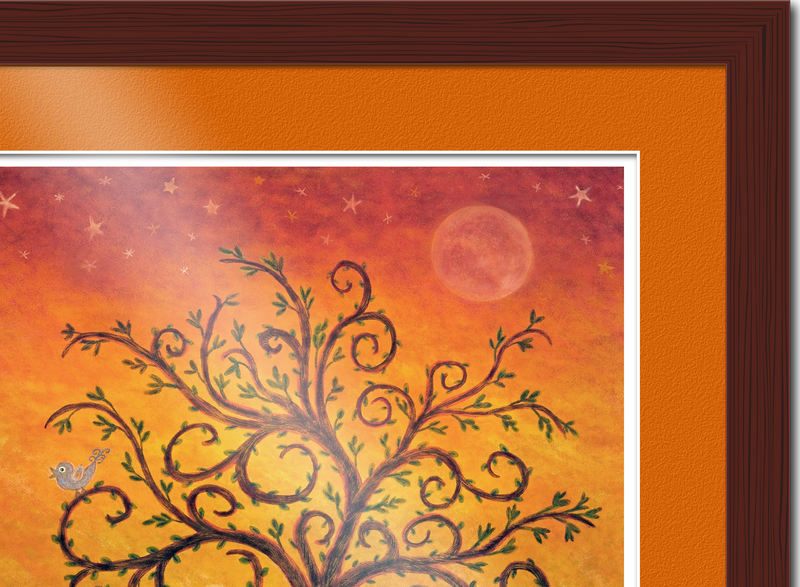 Canvas prints, framing, and papercuts take a couple weeks longer, but don’t worry - we’ll make sure you get it in time! We’ll email the tracking info when your order heads out. Unframed ketubahs are shipped rolled in a tube that’s inside a triangular shipping box. Papercuts and framed or wrapped ketubahs are shipped in a flat box which may require a signature for delivery. We're unique! As a working artists' studio, owned-and-operated by artist Micah Parker, the art is what drives us first and foremost. But we're a professional business -- not a part-time artist who just threw up an Etsy storefront to see if he or she could make some extra cash until the economy rebounds. So, just because we give you the personal touch of a small artist-run shop, don't think we're not running a first-class company here. We've been doing this full-time since 1996. But you won't find here one of those impersonal online shops that never tell you who is running it (you know . . the types of sites that make up "certified" stickers to impress you). And because we know what we're doing, we offer big store benefits - like a 100% Happiness Guarantee even on personalized/customized ketubahs - that nobody else can.